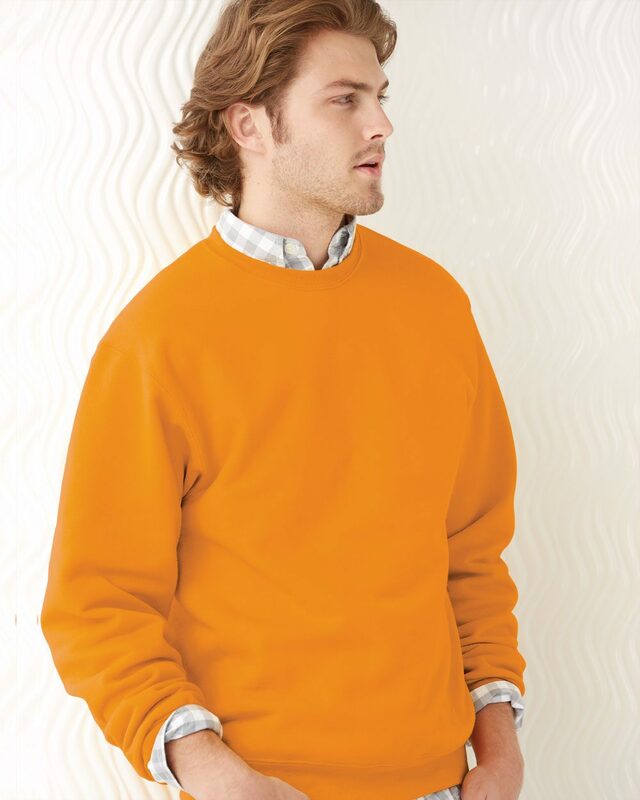 JERZEES SUPER SWEATS Crewneck Sweatshirt (4662MR) 9.5 oz., pre-shrunk 50/50 cotton/polyester. NuBlend pill-resistant fleece. High stitch density for a smooth printing canvas. 1x1 rib collar, cuffs and waistband with spandex. Double-needle stitched waistband, armholes, and collar. Seamless body with set-in sleeves. Quarter-turned. 4XL ONLY available in Black, J. Navy and Oxford.